An unusual post this time around. As you might have guessed from the title it’s about GirlCrew. For those of you, who haven’t heard about it – it’s the best thing that has happened to female society in Dublin/Ireland and other cities worldwide. The person behind GirlCrew is lovely Elva Carri, who has managed to keep thousands of females sane and strong since the start of it all. 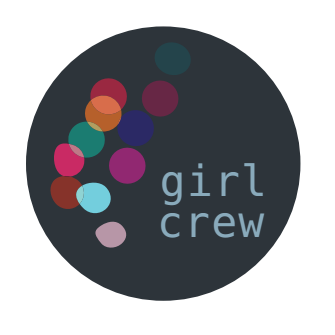 Basically, GirlCrew is female collective, who enjoy doing things together. By things I mean anything that comes into your mind – reading books (yes, there is a book club! ), going out together for drinks, coffees, lunches, brunches, going to gigs and going on holidays just to name a few! Ladies are sharing experiences, dating tips, renting and work opportunities and asking for advises on whole lot of different things. So yeah, it’s very impressive! You might think – it must be really hard to keep track of everything and I’m sure it is, which is why there are subgroups and also Elva has an amazing skill of being extremely diplomatic, so these few rules existing in the GirlCrew are followed without a question. So, if you are a woman, it is the community to be part of. You don’t have to be single. There are plenty of ladies with boyfriends/husbands/kids/dogs and cats. I have to admit, it is an unusual experience going and meeting a bunch of people you’ve never met or seen before. I for once spent first minutes looking around trying to randomly guess which group in a pub is the GirlCrew. What I loved about these get togethers is that it never really matters who you are or what you do. You are awesome just by being there. Another positive feature of the group – you will always have support. At least it’s the atmosphere the group has. I have heard a good few times girls saying how GirlCrew has changed their lives – some found friendships they were so looking for. Being a busy bee myself I don’t often meet up with girls, but it’s always nice to know that the option is there. All you have to do is suggest an event (even if it’s just a few hours notice) and you’ll find someone to accompany you to wherever. Having said all that, here is the main reason for the post: GirlCrew is celebrating 1 year! The event is open for everyone – yes boys, you are invited too! If you are a girl – it’s a perfect opportunity to meet other awesome girls and have an amazing night out! If you are a guy – join us girls celebrating this great community and also meet awesome girls! By the way, check out WingMan Dublin group while you are reading this. Having said that, I will leave you with links I posted above and hopefully see you in Sugar Club on 7th of March!